Children with ADHD tend to be naturally gifted with a wide range of skills, talents, and abilities. Most literature though, is quick to point out the negative characteristics of ADHD such as inattention, hyperactivity and impulsivity but forget to outline the many amazing qualities that these children have to offer; like creativity, intuition, imagination, fearlessness, and sense of humour. Current research suggests that by age 12, children with ADHD receive twenty thousand more negative messages than their neurotypical developing peers. Children with ADHD in fact, have an extraordinary skillset but as a result of these negative messages and from their own frustrations of not fitting into the ‘mould’ at school or home, they often develop a low self-esteem. It takes a very dedicated and loving adult in their life to be able to uncover, foster, and nurture their positive traits and empower them to thrive, shine and succeed. Children with ADHD have an incredible super-like power of being able to hyperfocus on what interests them. (The keyword here is what interests THEM). They will be able to concentrate for hours on end on this one particular ‘thing’. Take note of what this one particular ‘thing’ is and help them embrace it and turn into a positive pursuit. Michael Phelps is the most decorated Olympian of all time and he attributes his ability to hyperfocus before a race, as the key to his mental preparation and the very ‘thing’ that sets him apart from his competitors. Children with ADHD have many obstacles to overcome in order to just get through one school day, so they naturally develop a lot of resilience. They generally experience many setbacks in learning environments, social settings, medication adjustments and emotional regulation, so they have become accustomed to having to work harder to achieve success. They learn how to quickly bounce back and keep trying. Children with ADHD have amazing personalities. They are excellent conversationalists and have a sense of humour that most people could only dream of. They frequently excel in roleplaying, improvisations, and dramatic performances as this type of activity allows their personalities to really shine. Because children with ADHD have a unique perspective, they are excellent problem solvers. They have an ability to have a broad focus, notice more things and can see the big picture. These children will always find ingenious ways to solve problems that most people would have never even considered as a solution in the first place. The creativity and imagination of children with ADHD is astounding. They are exceptional brainstormers and are always the one in a group who can generate the lead ideas for a project, task, or assignment. Children with ADHD are so good at thinking outside of the box, that some of them often don’t even realise there is a box to begin with! Children with ADHD are excellent risk takers. In some circles, risk taking can be frowned upon, but it actually has a positive impact on children’s emotional, social, and physical development. Taking risks can lead to tackling harder challenges, improving self-esteem, developing independence, fostering life skills, self-awareness, problem solving, cultivating creativity and resourcefulness, understanding consequence of action, and making sound judgements. Children with ADHD have a unique ability to be spontaneous and flexible. They usually are happy to drop anything at any time and move onto the next task if needed. They love to learn new things. As a teacher and a parent, it is always nice to be in the company of children who are happy to make a change if things go wrong and plans get modified. Children with ADHD often have boundless amounts of energy. I mean, this is every adults dream, isn’t it? – to have such an untapped amount of energy! This type of energy can be used in positive ways like motivating others, getting tasks done, being creative, getting active, or playing sport. Children with ADHD really love to be the centre of the hive of activity. They are great hands-on workers. If you have some hands-on work to be completed, a child with ADHD loves to help out! Facilitate the development of positive thinking and mindfulness strategies. Some of these could include; self-talk, visualisation, mindful breathing, mind-body connection activities, use of mindful jars, and guided meditation. Help them understand how their brain functions and find ways in which they can work efficiently and effectively. 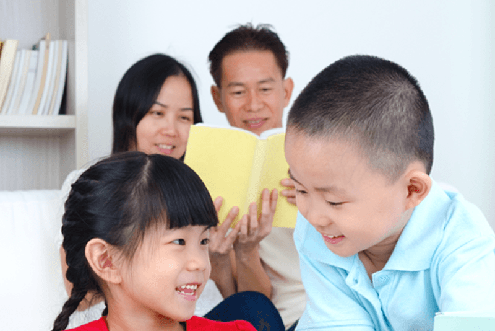 If they have a better understanding of themselves and their learning profile they will be better equipped to tackle any challenges at home, school, and life. Facilitate them in taking charge of their own organisation skills. We are fortunate today to live in such a high-tech society where there are so many apps/technologies available that can assist children to organise themselves. Find ways in which they prefer to get organised and empower them to do so. Encourage SMART goalsetting, so that they experience a sense of accomplishment when a goal has been achieved. Teach them to have realistic expectations of themselves and ask for help when needed. Work out the child’s best time of ‘alertness’ and give specific work or tasks to suit the ebb and flow of their energy output. Use the sandwich approach when giving feedback or constructive criticism. (Positive, negative, positive) For example if a child has written a story that has spelling and grammatical errors; instead of pointing out every single mistake, you could say “Wow, this is a really funny story (positive). I can see you have been so busy getting your thoughts down on paper that there are a few areas that need editing (negative). I really want to see how this story ends, so can you go and finish it off and bring it back to me, so we can work on an editing strategy together” (positive). Give frequent positive praise and don’t forget to praise them in front of others. Try to embrace incidental learning in the classroom or home. 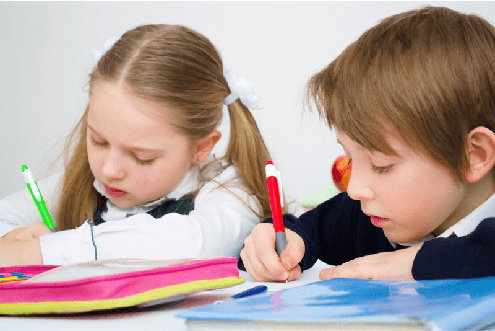 It has been suggested that children with ADHD have superior incidental attention (focusing attention on the things that they are not supposed to). If possible, use what has caught their attention to bring their focus back to the central area of attention. For example, if you are reading a story and sounds from the outside captures their attention, relate it back to the story to shift their focus back to where it is supposed to be. Use positive language to establish rules and routines. Tell them what they should do instead of what they shouldn’t do. Provide as many opportunities as possible where they can establish positive relationships and connections with other children who value, understand, and appreciate them. Be mindful of the location of their work space and the impact this will have on the amount of work they are capable of doing. Celebrate success. List, outline, and review exactly how many successes they have had and discuss this with them on a regular basis. Find a way to celebrate these successes. Share stories of successful adults with ADHD and/or give them opportunities to interact with others with ADHD who they can share their struggles, strategies, and triumphs with. There is no doubt that children with ADHD have a unique and extraordinary skillset. They can be creative, witty, spontaneous, highly intelligent, innovative, motivating and an extremely fun person to be around. These positive attributes, however can often be overshadowed because it takes them longer to slow down, stop or pause before acting. Parents and teachers sometimes focus most of their effort into supporting children with ADHD to curb their shortcomings, but forget to incite activities to fuel their inner strengths too. With the right encouragement and patience from dedicated parents and teachers – children with ADHD can grow up to understand, utilise and embrace their differences. This will enable and empower them to fuel their inner strengths to thrive, shine, and succeed in all areas of life.